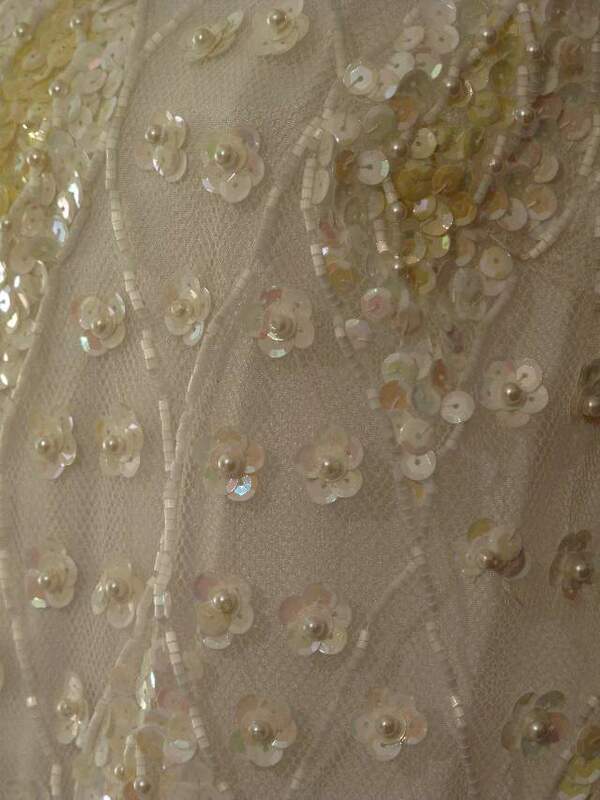 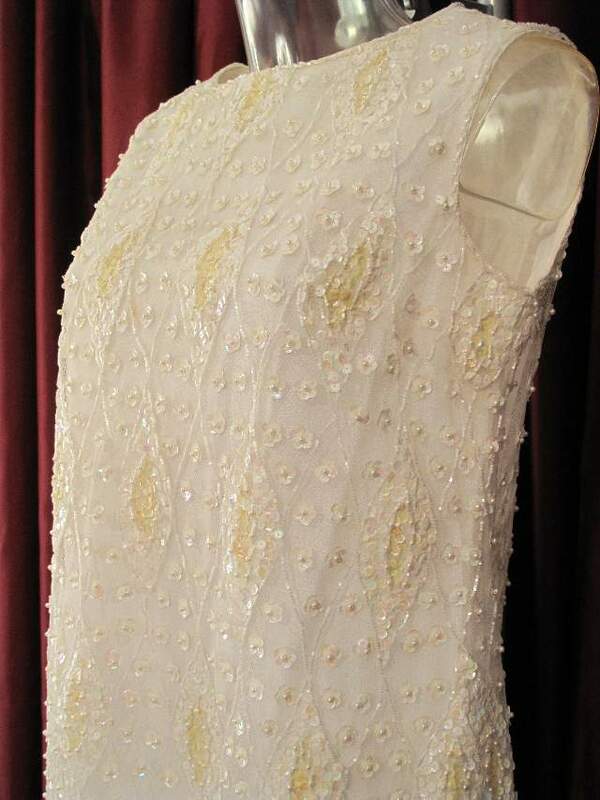 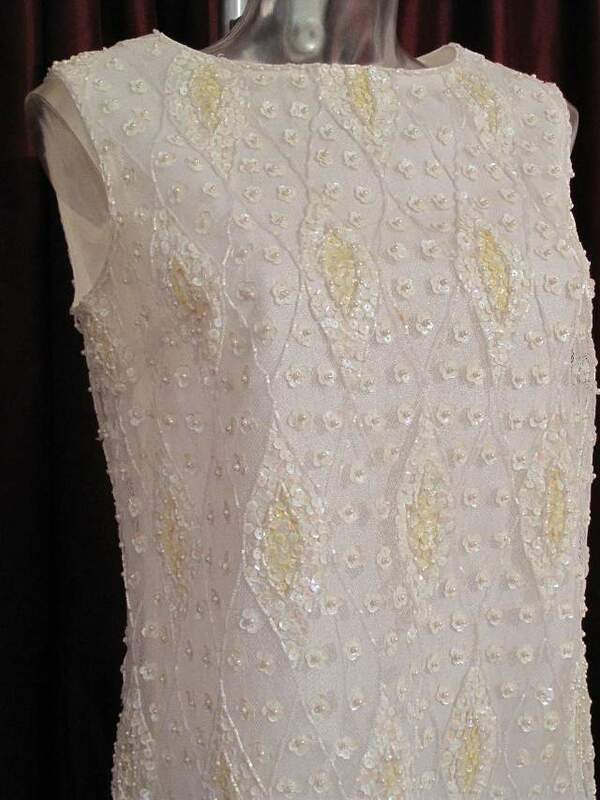 Showstopper shift dress of diamond pattern white glass bugle beads, hundreds of faux pearls and clusters of white pearlised cup sequins sewn onto a stiffened net base. 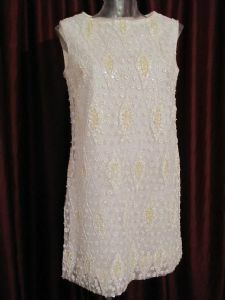 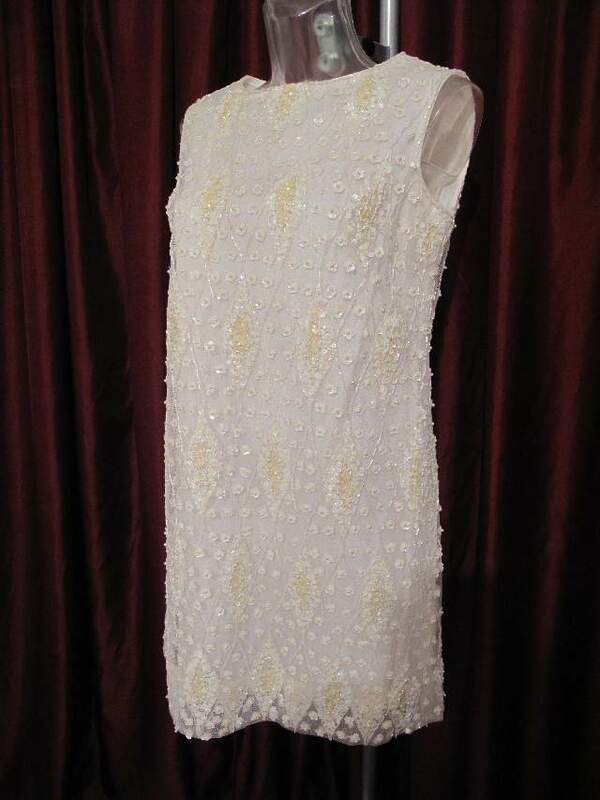 Th dress is sleeveless with a wide scooped neck, edged with twisted glass bugle beads.The dress has a back zip and is lined with ivory silky lining. Fabulous youthful alternative dress for the big day, style it minimally, except for a massive all white bouquet!